SEVENTEEN startup teams of The Company Lab's Summer 2016 accelerators will present their companies and display their products and services at CO.LAB Demo Night, Thursday, July 26, in Chattanooga. The CO.LAB event is free and open to the public. It runs 6 p.m. to 9 p.m in the Waterhouse Pavilion at Miller Plaza, 850 Market Street (37402). Click here to register. Demo Night is the culmination of CO.LAB's Summer 2018 startup accelerators for entrepreneurial teams working in the consumer goods and next-gen internet markets and seeking to scale their companies via pilot partnerships, angel or venture capital investments and new customers. The audience is expected to include potential investors, corporate partners and others. Through this summer's CO.LAB's Consumer Goods Accelerator, entrepreneurs have been refining their go-to-market strategies, drawing on Chattanooga-based experts in the outdoor and food and beverage markets. In addition, CO.LAB's GIGTANK Accelerator is in its sixth year and is considered unique, globally. It attracts entrepreneurs seeking access to Chattanooga's metro-wide gigabit network. Presentations will include applications in mapping and location analytics, augmented reality and peer-to-peer netwoking and data analytics. 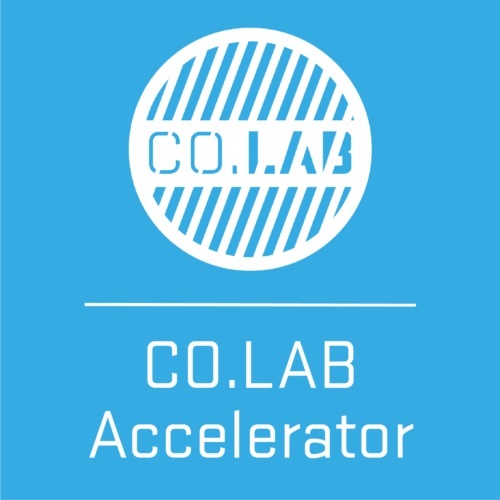 CO.LAB's year-round accelerator programs page is here. Previous VNC/VTC CoLab coverage here and here. Based on an earlier CoLab announcement and subsequent VNC research, we believe the 17-startup list below is correct, but corrections or amplifications are welcomed. ► Cashew - Kristiana Mallo, Bailey Cole - Restaurant offers vegan cuisine and baked goods, including cashew cheese sold via regional restaurants and retail stores. ► Chattanooga Sports Leagues - Tommy Travers - Plans and manages recreational sport events and programs for young professionals. ► The Chef & His Wife - Timothy Mulderink - Producer of healthy pre-packaged meals, as well as a variety of pimento cheeses. ► Fleetwood Coffee (International Coffee Group) Jennifer Stone - Revival of 93-year-old coffee brand that originated in Chattanooga. ► Hutton & Smith - Melanie and Joel Kraustrunk - Brewery and taproom that brews and distributes craft beer throughout Tennessee. ► LoAdebar - Norma Maloney - Producer of energy bars made from natural and organic ingredients. ► Muse + Metta - Trent Brockie - Producer of kombucha, which is made in six flavors from all-natural ingredients. ► Site Seven - Justin Shipp - Creates camper build-outs for Mercedes-Benz Sprinters, Dodge ProMasters, Ford Transit vans. ► SWAYY - Seth Hill - Designs, manufactures fully insulated hammocks. ► Weekly Fig - Anju Wilson, Michele Reneau, Nate Wilson - Local online farmers market offering home delivery of ingredients and meal planning. ► Big Bang - Jonathan Wagner - Cloud-based IoT platform that works with small and medium-sized businesses to create connected devices and applications. ► BrewFund - David Nelson, Travis Rother - Builds customer loyalty for breweries by using technologies that provide peer-to-peer gift giving, sales optimization and mug club management. ► Blue Spatial - Mike McDougall - Mapping and location analytics software that helps organizations gain insight for better decisions. ► Deep Mapping - Dalei Wu PhD (UT-Chattanooga)- Maps and monitors underground infrastructure by integrating multi-modal sensing, gigabit networking, data analytics and augmented reality. ► IMSA - Corey Ranslem, Frank Fenner - Provides risk data and analytics for large seaworthy yachts and shipping companies. ► TenGIG - Founder Jared Nixon - TenGIG is an online gaming festival in Chattanooga powered by EPB, the nation's No. 1 gaming Internet Service Provider.